You’ve learned how to build a resume and craft a great cover letter. And you’ve written both, to perfection. You’ve nailed the phone screen and the onsite interview. Finally, you’ve gotten the call: you are a finalist for the role you’ve been pursuing, and now your potential employer wants to speak to your professional references. But who do you ask and how? Employers usually ask for three professional references, and especially for those new to the workforce, identifying the best people can feel confusing. But don’t fret. Read on to learn who (and who not) to ask, how to ask them, and how to present these references to a potential employer to land the job. People who can speak to the quality of your work and your characteristics as an employee will pack the most punch with future employers, but it can be tricky to ask a current supervisor. But don’t fret; if you have more than a couple of years of work experience, you’ve likely had more than one boss or manager. If possible, always start with this type of reference as employers want the input of people you’ve reported to in the past. A former boss will be able to speak easily about your work ethic and reliability. Obviously, you should only ask former bosses if you ended your employment with them on good terms. If you were fired or quit because of a professional dispute, you might want to look at other options. A current or former colleague with whom you shared a close working relationship is also a valuable asset on a list of references. Coworkers interact with you in a different way than a boss or manager, and a rousing endorsement from a colleague, past or present, will show the employer that you are a team player who is well-respected by their workmates. In the same vein, adding a client to your list introduces an interesting perspective. A solid recommendation from a client can demonstrate your stellar customer service and communication skills, two soft skills that studies show are in high-demand in the workforce today. If you are interviewing for a job that will involve you managing people, asking a subordinate for a reference is a good idea. They offer insight into your management style, your communication skills, and likely have a perspective on your day-to-day working style that is different that your boss will have. Occasionally, an employer will ask for a personal reference in addition to your professional references. This is intended to get insight into your character. These come in especially handy for those who have limited ­– or no – work experience. For a personal reference, you want to ask someone, ideally, who has insight into your personality, your aptitude for learning, and your work ethic. Great personal references include teachers and professors, academic advisors, leaders of volunteer organizations you’ve worked with, and coaches. You should never ask a family member ­– hi, Mom! – to provide a personal reference. After all, everyone’s mom thinks they are fantastic. You might also want to steer clear of religious leaders, or those affiliated with political organizations (unless, of course, the role is directly related to one of these areas.) This will help prevent unconscious bias from creeping into the hiring process. Don’t ask your boss for a professional reference unless you are being open about the fact that you are looking for a new job. If you are asked to provide a reference from a current supervisor, it’s okay tell the prospective employer that you’ll provide that information once a conditional offer has been made. To get the best possible recommendation, you want to ask people with specific and positive things to say about you and your work. A casual acquaintance or someone you have worked with only briefly will likely not be able to provide the perspective an employer needs to get a true sense of what you will bring to the table. To get the best endorsements as possible for a new position, it’s critical that you first ask your professional references for permission before you share their contact information with employers. This is important for two reasons. First, it’s the polite thing to do. After all, providing a reference isn’t required, it’s a favor. Always ask each reference directly via email or a telephone call whether they are comfortable providing a reference. Second, it’s in your best interest to give your references time to formulate their thoughts on what to say about you. 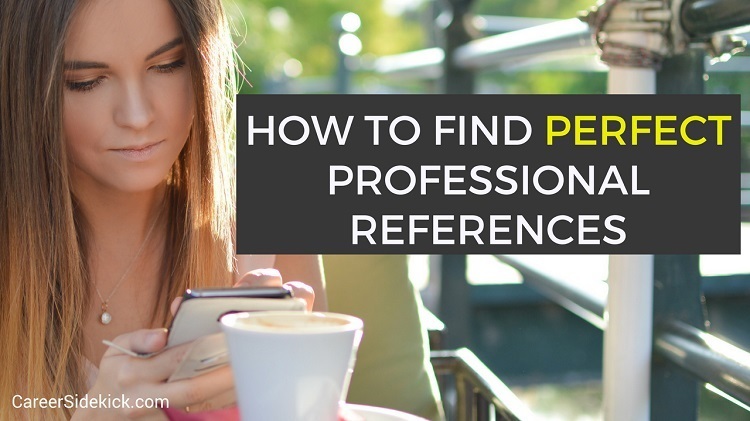 Take the time to describe the new role (or send them the job description) to each professional reference so that they can think about the best thoughts to contribute. Some job seekers take the extra step of providing a written list of areas they’d like each reference to cover during their conversation. This is a wise step as it will leave less up to chance during the call. For example, you might ask a subordinate to focus on your management skills, and a client to share their thoughts on your customer service skills. Speaking to your references in advance of their calls with your future employer will help you make sure your bases are covered and will give you time to find alternate references if someone you ask isn’t able to assist. Whenever possible, let your professional references know a timeframe in which they will be contacted. That way they’ll be prepared to take the call. In the past, some job seekers listed their references at the end of their resumes. However, modern resumes don’t do this. Employers don’t need access to your references until they have identified you as a top contender so save your references until you are asked to provide them. When you launch your job search, have a conversation with your potential references, and when they agree to participate, add their name to a separate references list. This page can be provided to employers upon request. Best of luck with assembling your list! Since 2005, LiveCareer has been developing tools that have helped over 10 million users build stronger resumes, write persuasive cover letters, and develop better interview skills. Land the job you want faster using our free resume examples and resume templates, writing guides, and easy-to-use resume builder.